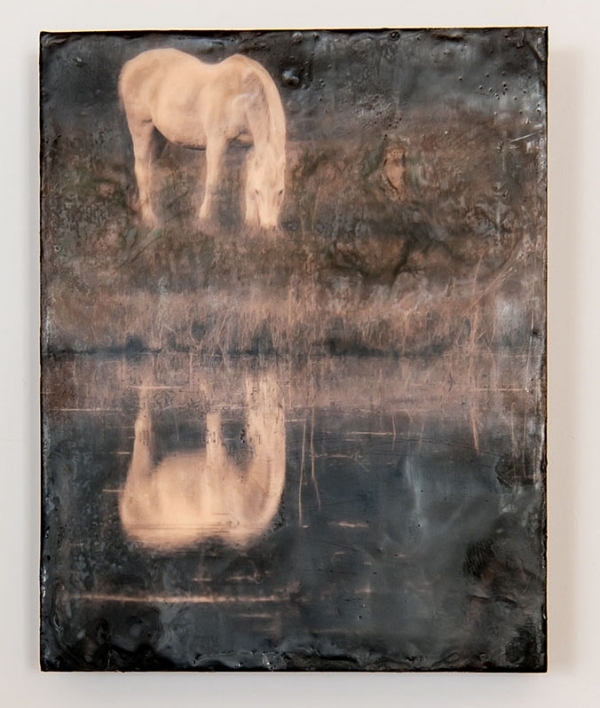 Height 10" x Width 8" x Depth 2"
I was driving down the road in Sorrento, FL with a friend when I saw this Connemara Pony standing in water that occurred from the rains of hurricane Irma. I didn't have a camera with me and was devastated to have missed the shot. I went back two weeks later and was pleased to see the horses were there. Happy ending for sure. I was driving down the road in Sorrento, FL with a friend when I saw this Connemara Pony standing in water that occurred from the rains of hurricane Irma. I didn<(1)>t have a camera with me and was devastated to have missed the shot. I went back two weeks later and was pleased to see the horses were there. Happy ending for sure.